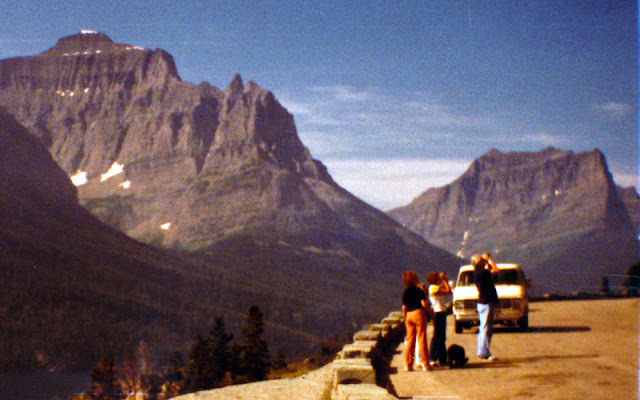 Here's another enigmatic image from our 1983 journey to Glacier National Park in Montana. For reasons lost to time, I used my little Kodak 110 camera to shoot a photo of some tourists looking skyward. What had they spotted? A mountain goat? A cougar? A mountainside forest fire? A UFO? I'll never know, for my 14 year old self thought the observers were more interesting than the observed. Clearly my shutterbug instincts needed honing.